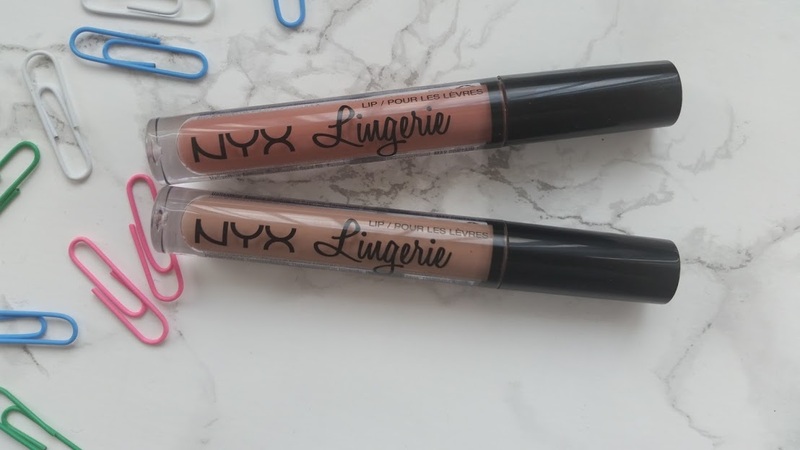 As soon as I saw NYX Cosmetics UK post n instagram that the Lip Lingerie range is coming to the UK soon, I had to sign up. The email came in my inbox and next thing you know I had purchased 4! Two for me and the other two for Aamira, because we both fangirled over them for ages! There are 12 shades in total on the Boots website, so deciding which to order was very hard. Its also a nightmare to judge on the website which ones to pick, so look at swatches on google beforehand. Very simple as is most of the products from NYX, that's what makes them really affordable I guess. 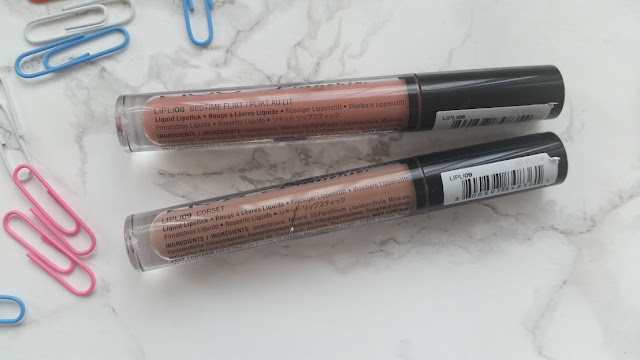 The tube is clear so you can see the product through and the shade name is written on the side of the tube. This is my absolute bug bear, it took my ages to find exactly where the shade name was! 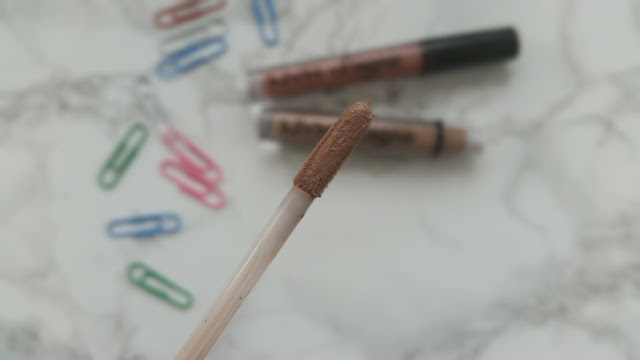 The applicator is one of my favourite things about the product, its a pointed dofer that makes it easier to apply to the lips and gives you more chance of precision. These are amazing but the very weird when it comes to lip products. 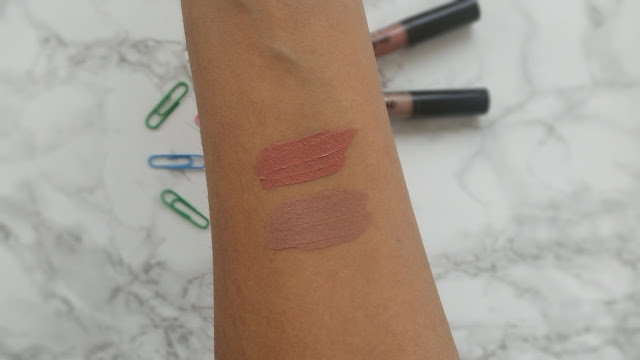 When I swatched them on my arm they went on like a dream and the colours looked gorgeous. Applied them on my lips and they were a nightmare. It clung to the tiniest bits of dry skin on my lips, sunk straight in and I couldn't fix any mistakes. I didn't want to give up, so I removed them using a wipe - which they came off straight away. Applied a ton of Vaseline let it sink it and set and then re-applied. Much better! They applied like butter on to my lips and I was able to work with them better, using the wand I applied it quickly. The formula is very fast drying and once its on your lips that's it, they also set matte making them last all day and feeling lightweight. Bedtime Flirt is a gorgeous pink colour and great for everyday wear, it did take a few layers however for the colour to show up on my lips. Then Corset is a very hard one to put my finger on, it swatched purple and on my lips looks very grey? One to get used to for sure. I am in love with Bedtime Flirt as it has grown on me, Corset needs to be sold to me a bit more. But after discovering my lips needs to be plump and soft before applying I like them more. I really want to get my hands on Push Up & Ruffle Trim as these seem a bit darker..
Have you tried the NYX Lip Lingerie's yet? Pick them up at Boots for £6.50.